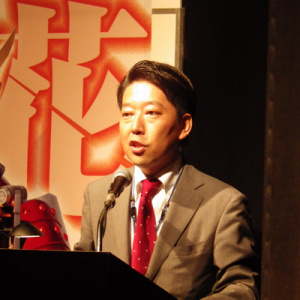 Named after TV Asahi Producer Motoi Sasaki. While the naming of this era is subject to change, and while we’re still probably in the process of getting a grip on this new era, one thing for certain is that Super Sentai’s production focus is taking another turn. While it’s debatable how much control Sasaki has over current Sentai (or Rider for that matter), he at the moment appears to be the face of the new era for many. In this era, it’s realized that Sentai can no longer rely on just past successes to keep it afloat. And that it’ll need to do more than just coming up with simple new motifs to keep it going. 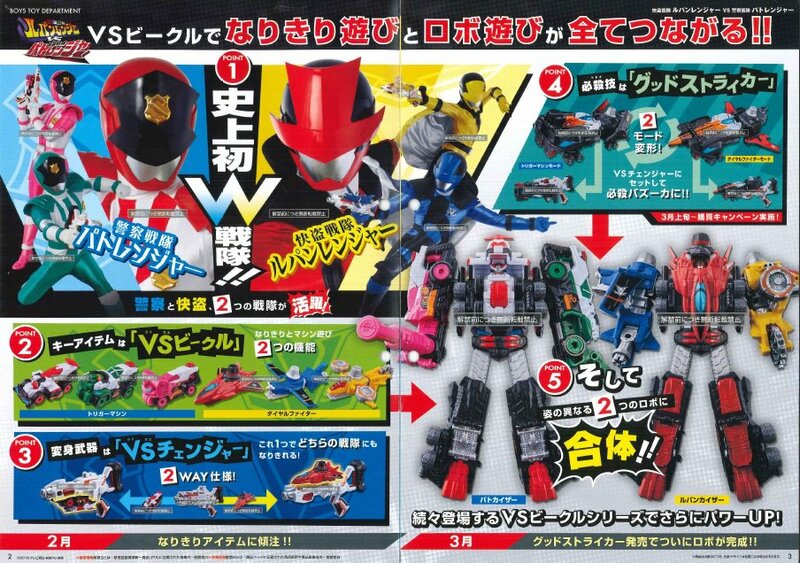 If Kyuranger and the upcoming Lupin/Pato are anything to go by, this era appears to be focusing on trying to make the shows’ formula appear different at the very least on a surface level. 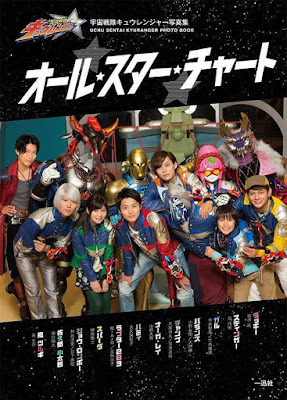 This is shown with Kyuranger being a show starring 9 heroes, and Lupin/Pato starring two rival teams. Super Sentai is already deviating from the formula yet again like it did several times. What kept Super Sentai afloat for 80% to 90% of the time is by trying something new. It may not work all the time but there's always a lesson to learn from it. Right now, it's all about seeking new ventures and taking new risks. Innovation will always involve a certain degree of risk but not innovating at all will ultimately lead to way more risk. It looks like Super Sentai wants to stop being typical again - which happened several times with how creative eras seek newer ways to do Super Sentai. Kyuranger was where I thought, "We're up to something new." While it didn't give me exactly what I want like having a moderate build-up of gathering the nine warriors together but WTH I could still enjoy it for what it is, right? The show could be considered an "upgrade" to Eto Ranger (the use of the selection system for such a huge team and now they're 12 warriors already) with some American pop culture references such as Star Wars and Star Trek - all the while taking advantage of the digital age. So what makes this Super Sentai season less typical? There's some obviously non-human members with human members. The show has the villains winning before the show even started. It's not just the Earth but the whole Universe that's been taken over. It's all about defeating Jark Matter that has already succeeded where most predecessors failed - in conquering the Universe and Earth. Although some episodes happen on Earth but the show has been departing from Earth to the stars. Should I mention that the show may actually take place 300 years from now? That means while it's 2017 but it's already 2317 in that show. Hmmm... maybe I should avail of the technology Tsurugi had and wake up in 2317? Joke! What drew me to it is how it once again manages to become another Universe. Okay, it's not like as if most seasons weren't from another Universe. 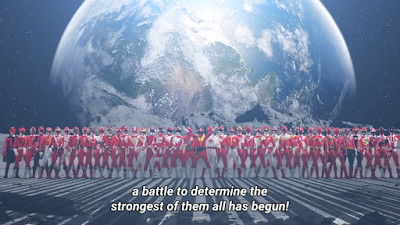 Common sense would tell us that most Super Sentai just can't fit into that huge imaginary timeline such as the VS. Movies or various ways dinosaurs perished in several seasons. It's not just making slight changes but trying to do something new that may interest both older fans and newer fans alike. 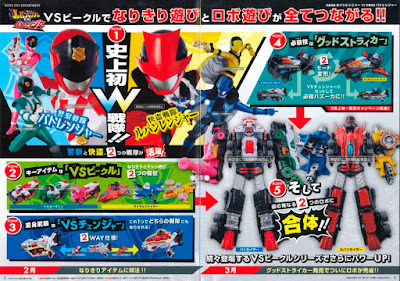 I'm simply crossing my fingers that maybe, just maybe Patoranger vs. Lupinranger will be a comedic experience. Maybe, Detective Zenigata and Lupin III have sired several descendants and may have reached up to this point. 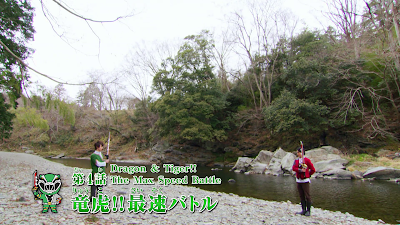 It would be nice for once to see two rival Super Sentai teams forced to join forces against a common foe. It would be nice to see how both Detective Zenigata and Lupin III are now rivals in power spandex yet the two have to join forces together. There's two dimensions and rebels from an oppressive police dimension must join forces with a righteous police. How crazy can that be? Maybe next year I'd be laughing my head off if two rival teams have to join forces against a common foe. At this point, I hope that there will be more exploration of new possibilities for both Super Sentai and Kamen Rider. On the other hand, I'd actually still be open to ideas if Toei's producers could come up with something that will ultimately replace Super Sentai and start a new genre. Either way - more power to the people who are now bringing forth a new era! So Who Could Be Don Armage? 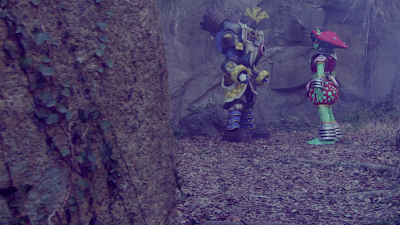 Kyuranger 42: Your Father Or The Universe?